There are people who simply do not wish to face the reality of having to choose cemeteries in the event of preparing for a burial. 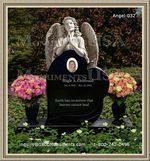 It may not be a pleasant topic, but it is a reality that should be examined for the most suitable arrangements for burials and cremations. 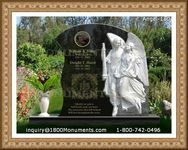 Tips and advice provided from the Memorial Park Cemetery can aid in determining the best steps forward for a memorial. Burials are often covered in a funeral policy offering a breakdown of the arrangements that will need to be made in the event of a passing. Service providers in the industry are able to advise on the options that can be purchased for individual needs. There are a number of requirements that can be implemented according to religious and cultural requirements. 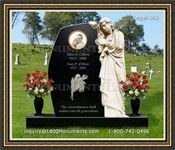 There are a number of aspects that should be considered in the selection of cemeteries. When having to lay a loved one to rest, it is an incredibly difficult and confusing time that families will experience. It is important to have professionals who are experienced on your side to guide you through the trauma. Jewish, Christian, and Muslim cemeteries are available to attend to the needs and the interests of different faiths. These facilities will offer specific types of services to ensure that individual needs are met. Procedure will be followed and the most suitable burial standards implemented for the best quality results. All arrangements should be made before the event of death, but if you are caught unawares, investing in specific procedures can deliver the greatest outcome. Cemetery rules and regulations according to state requirements should be determined. This will influence the size and the type of monuments that can be erected in the plot. Choose an environment that is well maintained and not overcrowded. Regular traffic through a memorial park makes it difficult to experience quiet time and comfort when upholding the memory of a loved one. Consider areas where you or loved ones will be honored when laid to rest.